Your whitening toothpaste is a bit underwhelming to say the least. Sure, your teeth are clean and your breath smells great, but it just isn’t giving you that dazzling, pristine white smile you are really looking for. Your only other alternatives are those unreliable kits from the store or an expensive in-office treatment with a dentist, right? Actually, you have another option that gives you the best of everything: the convenience of a take-home treatment and the effectiveness of a professional one. With take-home teeth whitening from a dentist, you can get the smile you’ve always wanted while relaxing in your favorite chair. If you go to the store right now, you will literally see hundreds of products on the shelves that say they can give you a whiter smile. Unfortunately, what they have in promises hardly ever transfers to results. Most generic whitening treatments and toothpastes are simply too weak to completely eliminate stains caused by coffee, wine, tobacco, aging, and countless other factors that can affect a smile’s color. On the other hand, some are actually too strong and can even damage your enamel if not used carefully. So you might think that the best solution is to visit a dentist for a quick in-office treatment, right? While these are indeed effective, they can be quite expensive (costing about $650 on average), and often they work a little too well. The whole idea of cosmetic dentistry is to create subtle and natural-looking results, so if you show up to work one day with a smile that is suddenly 10 shades whiter than the day before, people will certainly notice, but not necessarily for the reasons you want. With professional take-home teeth whitening, you can get reliable results that won’t harm your smile or scream to the world that you’ve had a treatment. You can whiten your smile on your own schedule, at your own pace, and you can trust that the results will be dramatic without seeming unnatural. Plus, professional take-home treatments also tend to be much less expensive than in-office ones, meaning you get to save while enjoying all of these benefits. We call that a win-win! First, you will need to schedule an appointment with a cosmetic dentist in your area. From there, they’ll take an impression of your teeth and use it to fabricate your own customized set of mouth trays. They will also give you a professional grade whitening-gel, which will be much stronger than anything you can buy on your own. All you need to do then is simply wear the trays with the gel for about 30-60 minutes a day for two weeks to see the maximum results. 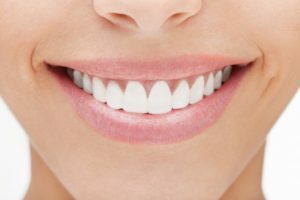 You will likely see a small difference after just one treatment, and you can stop before the two weeks is up if you are happy with how your smile looks. Even better, you can also use this treatment whenever your smile needs a minor touch-up. In the end, if you are looking to turn back the clock on your smile and help it truly shine again, nothing else offers guaranteed results, convenience, and affordability like a professional-take home treatment. With it, you can just sit back and relax as your smile’s true color comes out, and before you know it, you’ll have a set of teeth that always fills you with confidence. Dr. Robert Long is a general, restorative, and cosmetic dentist based in Cleburne, TX. He currently practices at Long Family Dental, and he can be reached through his website or by phone at (817) 645-2437.